I got my mind on Pinot and Pinot on my mind. A few days down in Shell Beach tasting wines at the annual World of Pinot Noir are clearly to blame. 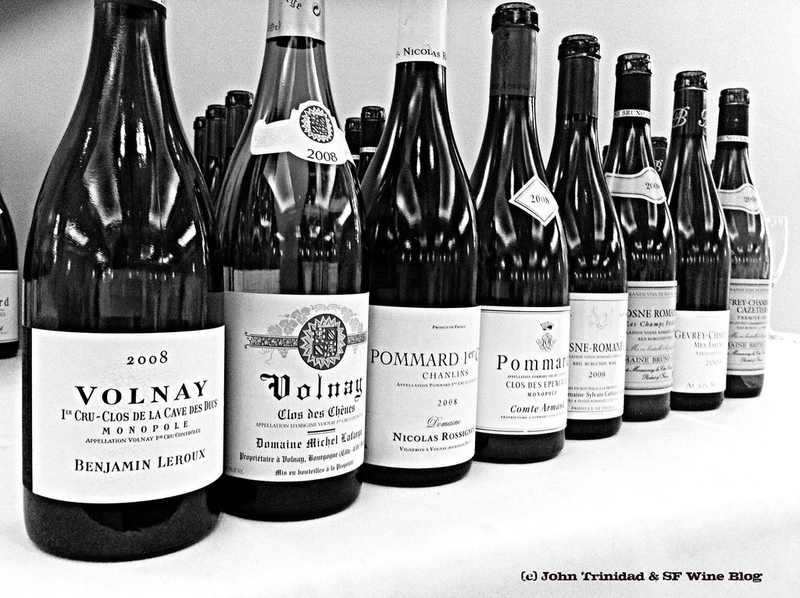 There were some thought-provoking seminars on Terroir and Natural Winemaking, and an excellent Burgundy class led by Allen Meadows (who selected a great lineup of eight wines from Volnay, Pommard, Vosne-Romanee, and Gevrey-Chambertin). But what has been on my mind is this description on the back of one of the wines served at WOPN. Dark, black fruit with a rich, velvety texture? Doesn’t sound like Pinot. In fact, I did a search for those terms on Google, and the top results included tasting notes for Napa Valley Cabernet. Call me a traditionalist, but I don’t think anyone really needs to “redefine” Pinot. I’m OK with the original definition. OK, enough of my preaching. Here’s how to quench your thirst this week. Farm Wine Imports’ Kevin Clancy will be guiding you through Italian Wine 101, covering history, classic varietals, food & wine pairings, and natural wine producers. All this, and a 5-course tasting menu from the talented F+W kitchen. When I started venturing into Loire wines, I stumbled upon a bottle of Bourgeuil from Domaine Catherine et Pierre Breton. I fell in love immediately. I tried my hardest to visit Dom. Breton during my time out there last September, but couldn’t quite squeeze it in. Pierre Breton is touching down in SF this week, and I now have multiple opportunities to meet him in my hometown: Wednesday at 18 Reasons, Thursday at Arlequin, and Friday at San Francisco Wine Trading Company. And as an added bonus, Jean Montanet of Domaine de la Cadette will also be on hand. I’ve sung the praises of the Selection Massale portfolio before, because I have a soft spot for wines with a lot of character. Thursday, you get a chance to try wines from Selection Massale’s Savoie producer Domaine Dupasquier, and get to meet Cory & Guillaume. Gideon Bienstock, winemaker at Clos Saron, will be in town to pour wines at Oakland’s natural wine bar of choice — The Punchdown. 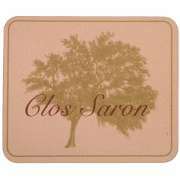 Clos Saron makes about 100 cases of biodynamic wines from the Sierra Foothills each year, and Gideon’s dedication to minimal intervention in the cellar make for some very unique wines. DigWine is a dangerous place for me. I walk in trying to buy one bottle, but invariably leave with multiple wines in tow. There is just way too much temptation in this jewel box of a store. Categories: San Francisco, Wine, Wine Events | Tags: 18 Reasons, Allen Meadows, Arlequin Wine Merchants, Camino, Castello di Ama, Clos Saron, David Hirsch, Delfina, DigWineSF, Domaine Catherine et Pierre Breton, Domaine de la Cadette, Farm Wine Imports, flour + water, Hirsch Vineyards, Italian Wine, Joe Dressner, Pinot Noir, san francisco, Savoie Wine, Selection Massale, The Punchdown | Permalink. SF Beer Week, Tre Bicchieri, and La Paulée are attracting a ton of industry pros to San Francisco. Last night’s 4-course, 8-beer pairing at Bar Tartine drew a packed house along with some celebrity sightings — Michael Pollan and Dave Chappelle, y’all! There are a slew of Italian wine producers in town for Wednesday’s Tre Bicchieri tasting, and I’m sure you can catch some of them at A16 and Biondivino afterwards. And Burgundy producers will be trickling in over the next few days along with a bunch of sommeliers from NYC and elsewhere. Keep your eyes peeled – I’m guessing you can spot lots of these folks throwing down at RN74, Michael Mina, and Nopa. In preparation for La Paulée, an impressive group of restaurant will be having some special Burgundy selections on their menu. Participating restaurants include: A16, Absinthe, Acquarello, Baker & Banker, benu, Boulevard, Bourbon Steak, Cafe de la Presse, Epic Roasthouse, La Folie, Frances, Gary Danko, Jardiniere, Michael Mina, Piperade, Quince, RN74, Saison, The Slanted Door, Sons & Daughters, Redd, Zuni. Because one can not live on wine alone, I invite you to check out the plethora of events that the organizers of SF Beer Week have pulled together. So much to choose from! The writers from Gambero Rosso, an Italian food and wine magazine, taste around 20,000 wines. The top wines are awarded “tre Bicchieri” status, and the wineries that earn that gold ring are invited to join a tour to help spread the gospel of Italian wines. The Tre Bicchieri tasting touches down in San Francisco on Wednesday. Here’s a full list of Tre Bicchieri participating wineries. NOTE – if you can’t make it to the tasting at Fort Mason, stop by A16, where many of the wines will be poured on Wednesday night. A few years ago, the “geeky but versatile wines” of the Jura — a small region about an hour east of Burgundy — started capturing more space on wine lists in New York and other major cities. Today, you can find a handful of winemakers in the U.S. who have been so taken by these wines that they have hunted down vineyards that grow typical Jura varieties. Come taste what all the fuss is about at Thursday’s tasting at Arlequin, which will include wines from Bornard, Puffeney, Gahier, and others. 18 Reasons is hosting a series of classes aimed at providing attendees with “tips and tools to find and identify high quality, reasonably priced wines in wine shops and at restaurants.” This class will focus on white wines. The seminar is led by David Duncan Livingston. Categories: San Francisco, Wine, Wine Events | Tags: 18 Reasons, Arlequin Wine Merchants, Burgundy Week, Gambero Rosso, Italian Wine, Jura, La Paulee, Napa, Selection Massale, SF Beer Week, Sommeliers, Tre Bicchieri, Wine Photography | Permalink. My apologies. Am a little dinged up from a night out at RN74. I will have a much more entertaining intro to next week’s wine events post. 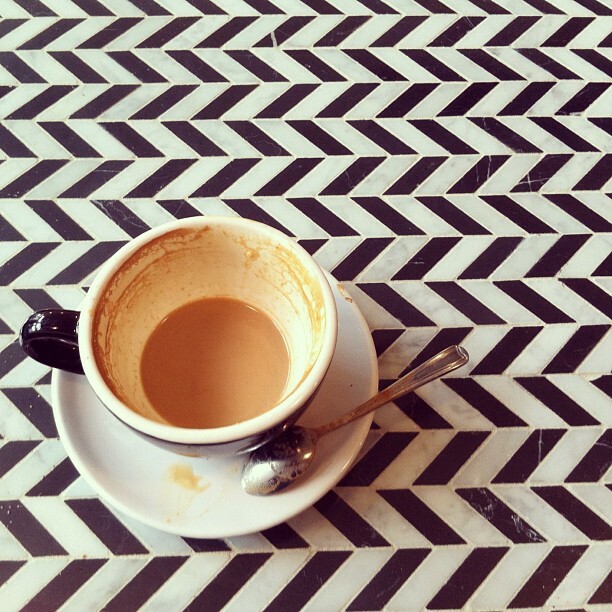 Now for some more coffee. NV Ca Vittoria Brut Rose – $19. NV Ca Vittoria Prosecco Brut – Conegliano Valdobbiadene $19. 2010 Alberice Malvasia Friuli – $18. 2010 Alberice Friulano Friuli – $18. 2008 Alberice Refosco dal Peduncolo Rosso Friuli $18. 2010 Nicodemi Terrana Montepulciano d’Abruzzo – $14. 2009 Nicodemi Montepulciano d’Abruzzo – $17. 2008 Nicodemi Notari Rosso Montepulciano d’Abruzzo – $28. 2006 Nicodemi Neromoro Riserva – $49. 2009 Dama del Rovere Spinaje Bianco Veneto IGT – $27. 2010 Dama del Rovere Brenton Lessini Durello Brut – $19. 2010 Dama del Rovere Tremenalto Soave Classico – $15. ALSO – Ceri could use some additional support for her new establishment prior to her February 2 SF Planning Commission hearing. Please consider sending an email to Kevin.Guy@SFGOV.org and include the following information in the subject line: Re 2255 Polk Street – Case No: 2011.1233C. North Berkeley Wine is bringing three producers from wineries intheir portfolio, Frederic Magnien (Burguny), Bruno Gaspard of Le Clos du Caillou (Chateauneuf du Pape) an Pierre Gaillard (No. Rhone). Nine wines, three courses. For an entertaining and informative read, download a copy of Terry’s catalogs. San Francisco Wine Trading Co.
There’s a good number of Burgundy tastings and events coming up over the next few weeks, all leading up to the big Burg-hound gathering of the year, La Paulée de San Francisco. (More on that in an upcoming post). On Saturday, SF Wine Trading Company will be opening bottles from wine-critic endorsed 2009 vintage (note: there’s a bit of a debate whether or not these wines are worth all the hype. If you stop by the tasting, let me know what you think — too ripe, or just right?). The Make-A-Wish Foundation of San Francisco’s annual fundraiser brings together some of California’s most noted wineries and Bay Area Restaurants for a fun-filled evening. You’ll recognize many of the names who will be serving at the Grand Tasting: Merry Edwards Winery, Williams Selyem, Barbacco, Epic Roasthouse, and The Slanted Door, to name a few. Full list here. I was lucky enough to attend the tasting last year and had a lot of fun. And if you stick around for dinner, there are plenty of top notch somms who will be pouring, including Paul Einbund of Frances, Shelley Lindgren of A16, and Christie Dufault of RN74. NOTE – Tablehopper has a 10% discount code for tickets to the Gourmet Tasting. Categories: San Francisco, Wine, Wine Events | Tags: Arlequin Wine Merchants, Biondivino, Bruno Gaspard, Burgundy, Frederic Magnien, Italian Wine, North Berkeley Wine, RN74, San Francisco Wine Trading Company, Wine & Wishes | Permalink. It’s a whirlwind trip through Europe this week, with Greece, Portugal, and Italy all representing at K&L and FPWM. Plus the annual (and well-named) slurp n’ burp oyster fest. Luis Moya may be one of the busiest twittering wine-os out there. 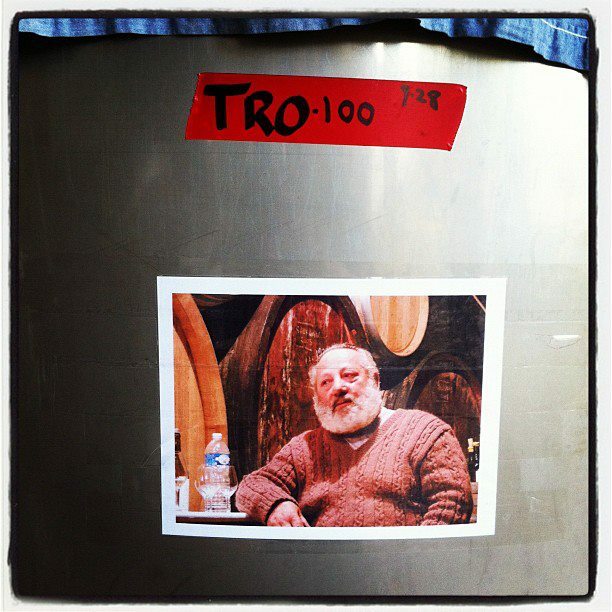 And for good reason: he’s one of the champions of spanish and Portuguese wine you’ll find. Join him on a tour of part of his portfolio. 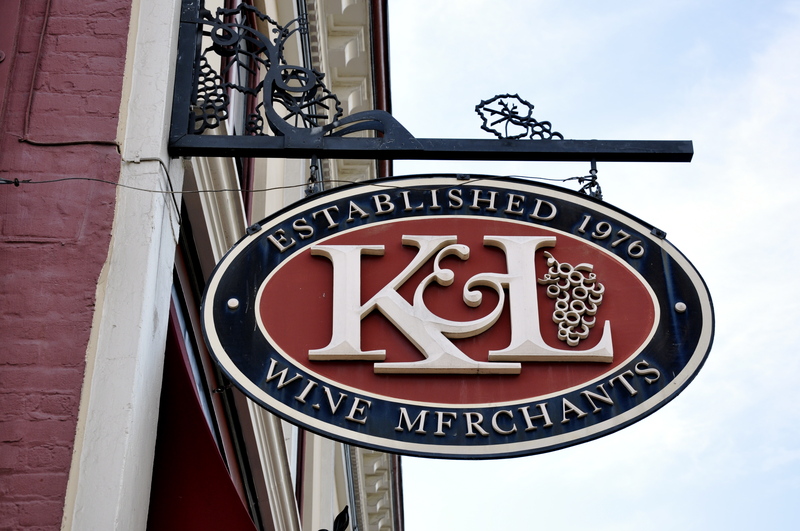 The continental road trip continues through Italy, as K&L’s wine consiglieri pick their favorites. The American Institute of Wine & Food hosts an annual oyster and wine eat and drink-a-thon. I’m going out on a limb here, b/c even though I’m not positive what they’ll be pouring, its hard to beat a day on an oyster farm given the great weather we’ve had recently. 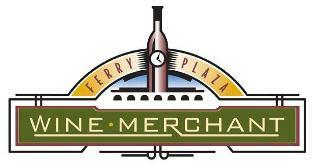 Categories: Wine | Tags: Ferry Plaza Wine Merchants, Greek Wine, Italian Wine, K&L, K&L Wine Merchants, Portugal, Vinos Unico, Vinos Unicos | Permalink.